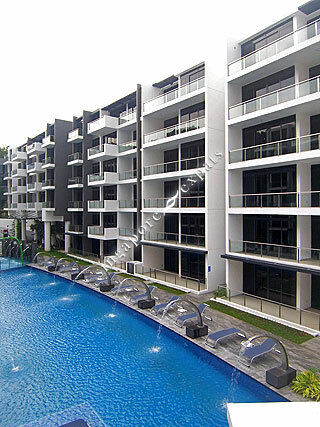 WATERSCAPE AT CAVENAGH is located at 65 - 65F CAVENAGH ROAD in district 09 (Leonie Hill, Orchard, Oxley) of Singapore. WATERSCAPE AT CAVENAGH is a Freehold Condo development consisting of 200 units. WATERSCAPE AT CAVENAGH is completed / TOP in 2014 (estimated), developed by CAVENAGH PROPERTIES PTE LTD.
Educational institutions like CHATSWORTH INTERNATIONAL SCHOOL (ORCHARD), ISS ELEMENTARY & MIDDLE SCHOOL, INSWORLD INSTITUTE, ST. MARGARET'S PRIMARY SCHOOL, ANGLO-CHINESE SCHOOL (JUNIOR) and RIVER VALLEY PRIMARY SCHOOL are near to WATERSCAPE AT CAVENAGH. WATERSCAPE AT CAVENAGH is accessible via nearby SOMERSET, DHOBY GHAUT and NEWTON MRT Stations. Excellent location, 5 minutes walk to Somerset, Orchard Road and Emerald Hill. It is a city home resort concept, offering exclusive resort living in a luxurious setting and at a prestigious prime District 9 Presidential neighborhood!